Audiences can expect to be thrilled by a diverse and though provoking theatrical experience from So Solo’s fourth theatre festival hosted by Wits Theatre from September 27 to October 8. The solo performance festival will comprise of 12 plays by artists from various creative backgrounds. questions people ask themselves on a daily basis. different. Some may use comedy and others may use high drama or physical performance but they [plays] all are completely unique,” Pather said. 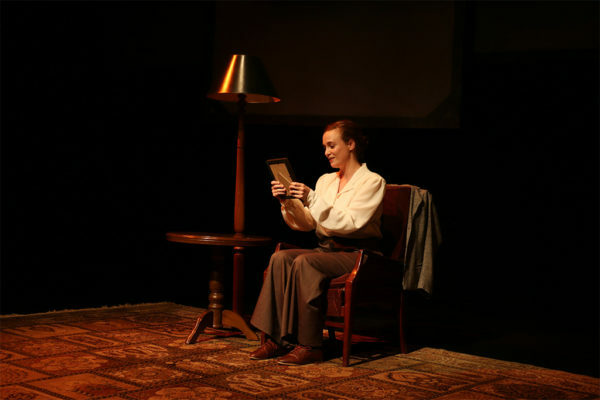 The commissioned play created by Wits School of Arts lecturer Nicola Pilkington and performer Maude Sandham titled Tracks, embodies the predominant theme of interrogating personal histories and finding a sense of identity in South Africa. Tracks follows the memory of a young woman who reveals pre apartheid family secrets and that brings light to the personal and national effects of apartheid. “Solo performance is fantastic because it holds remnants of oral storytelling,” said Pilkington. We are in a political space where we learn about our histories on the black and white print of history books and textbooks but there is something so phenomenal about the word in between. There is that oral form, and we are forced to listen and engage. “For young people in South Africa, this identity thing is really complicated. There is something, really interesting about the hybridity of identity, and I think as young people we have to engage with identity politics on a daily basis,” Pilkington added. Pather said the plays that are showcased this year refl ect what happens in society in terms of identity despite there not being a fixed theme. “I don’t assign a theme to the festival, because that would artificially act as a filter for what gets in and out. Art is a reaction and reflection of society so the predominant issues that are prevalent in society are picked up by artists and articulated through their work,” she said. Established by Pather in 2013, So Solo is a response to the economic state of the arts which gives creators and performers a platform to showcase their work. “I began to notice a trend in the industry with lots of people choosing to do solo performances, and I realised it was purely an economic response to the dearth of funding and opportunities for artists because while there is a lot of funding for the arts, a great deal of it goes to intuitions,” she said. The programme for the festival can be found on the Wits Theatre website.